Just a little rant about the total lack of Q.C with goods from AliExpress.China. 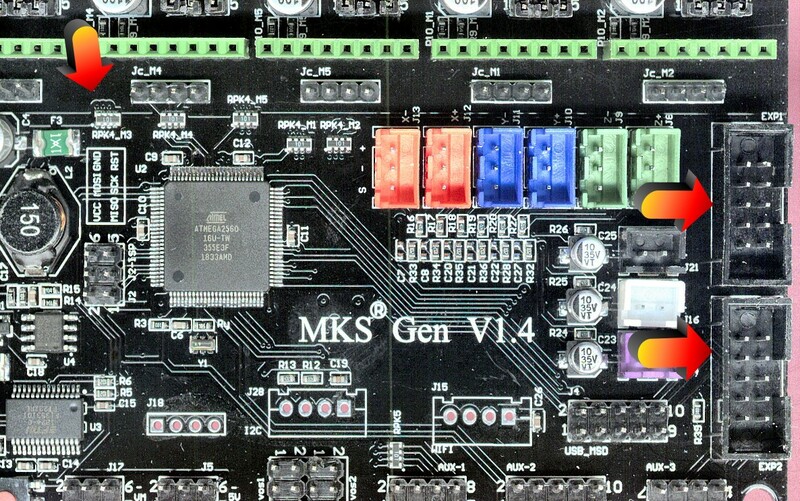 Here's a couple of photos of the MKS Gen v1.4 board. The X stepper motor driver DIR, EN and STEP pins were all shorted together due to the SMT resistor pack being soldered halfway across all of it's PCB pads, not suprisingly resulting in the X stepper motor doing strange things (mostly not moving though). They obviously don't test their boards before releasing, don't give a darn, and just simply think us europeans/westerners are only worthy of their factory rejects ? Pictures aren't very sharp but not matter. Edited 1 time(s). Last edit at 02/27/2019 02:58AM by Pippy. you pay bottom dollar, you get shoddy not checked gear.. the Chinese are just catering to the demand. Testing is a significant production cost, as I know from my involvement with manufacturing Duets. So it's not surprising that many Chinese suppliers don't do it. We've investing £000's in developing automated test equipment (ATE) which will shortly go live. Some of the larger EU-based manufacturers won't mass-produce circuit boards for you unless you supply them with ATE. Edited 1 time(s). Last edit at 02/27/2019 09:07AM by dc42. Yes I know Dust. 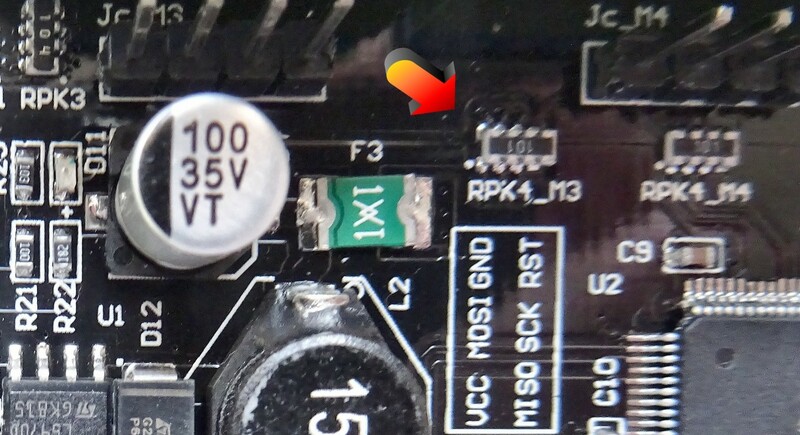 I just having a rant is all, and hopefully adding a little awareness to the community of what can be the cause of your malfunctioning boards. The problems were easily fixed, just that most people wouldn't know where to start etc, so they're the ones I feel for left out to struggle with returns or whatever. ... it's that easy - Chines can produce super-high-quality product (as seen with their smartphones or space-ships). And they have perfect Q.C. proceders too, to achieve the needed quality. I've had some second rate crap lately too. I had an MKS GEN L board with a faulty voltage regulator and it set drivers to operate at twice the normal VRef. I also had a box set of A4988's that had trimpots that did nothing and the VRef was a constant 0.62v. I've come to expect crap when I buy Chinese but I normally buy through ebay and it's not too hard to get a refund. It's just a great waste of time. My biggest point of contention (with ebay) is when sellers falsely represent the product as coming from Australia and state that the postage is fast and free, then they drop ship it from China and it takes 3 weeks to turn up, then when you get it it's in a China post satchel complete with a Chinese shipping label. It's getting really hard to find a genuine local seller for electronic components. Does that type of false representation prevail in other countries too? Yes, I've been noticing exactly the same thing here in the UK too .. ebay sellers stating they post from UK yet it ends up taking a couple of weeks to arrive etc, obviously from china. Sellers are also using ebay to sell factory rejects now, items that are of no use to anyone, but you don't know this until you get to try and test the stuff out. I think it's more complicated than that. From the point of view of someone wanting to have boards assembled in China, Chinese producers can produce good quality kit, but you need to monitor them and hold them to account when there are problems. Also give them either ATE or a detailed test schedule, and monitor their compliance with it. For individuals buying from China, there is the risk that you are buying rejects, or boards that haven't been tested. Although I've been lucky with small circuit boards purchased from China so far. If you are buying to resell, there is also the question of whether what you are buying is CE compliant. I remember hearing that the CE-marked PSUs that an OEM was buying turned out to have been assembled using leaded solder. Some of the major PCB houses used by individuals and small companies (e.g. Itead) still default to using lead in the PCB coating. So it's wise to assume that anything you buy from them is not CE compliant. Edited 1 time(s). Last edit at 02/27/2019 09:19AM by dc42. While i agree with the theme of your post the one example you cite was i fear. poorly chosen, as afaik the CE marking used by ITEAD is not the China Export nominally different mark but in fact genuine and earnt (certs available online [www.itead.cc] for example) european conformity badge. Though i have only checked up on the specific devices i have chosen to take a punt on myself.. not the whole stable of products i do have a life..